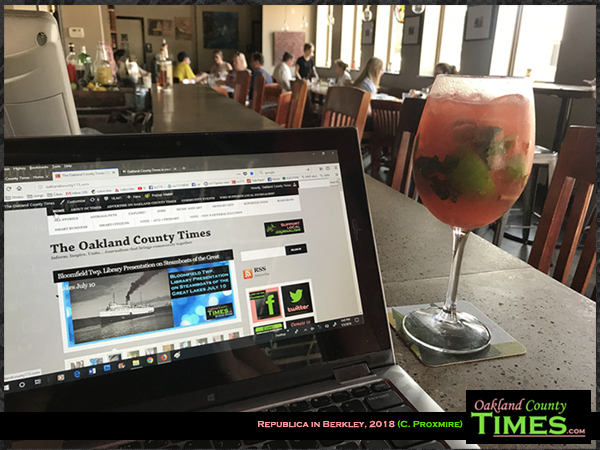 Berkely, MI- After a long day of doing video interviews with candidates for office throughout Oakland County and beyond, I was tired, hot and hungry. 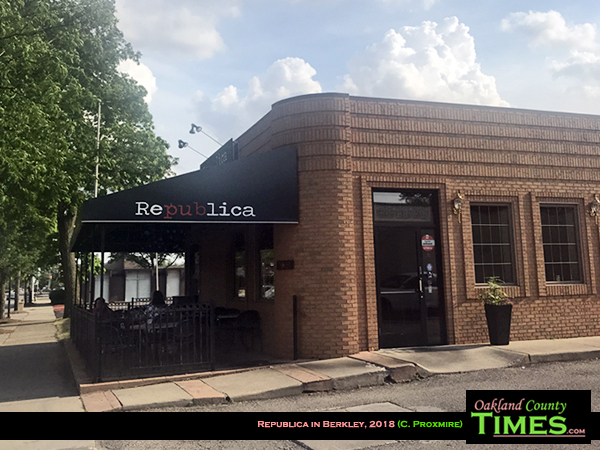 Republica, located at 1999 Coolidge Hwy in Berkley, made all of that better. This cozy little neighborhood bistro has a friendly atmosphere and a varied menu which includes such items as braised duck pasta, Maxwell’s pork chop and squash and brussels served with brown sugar and red quinoa. 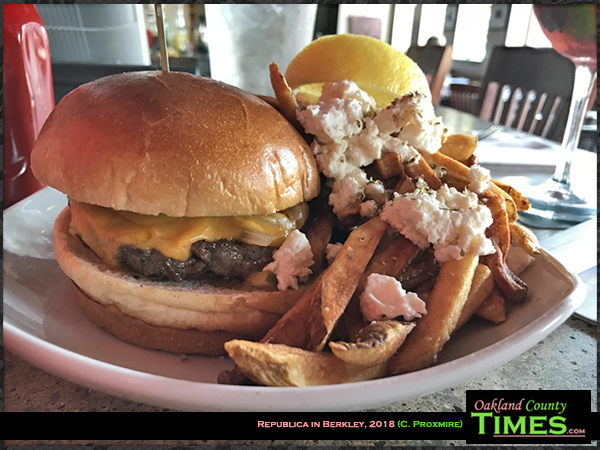 But what I wanted was a really good burger, and Republica did not disappoint. 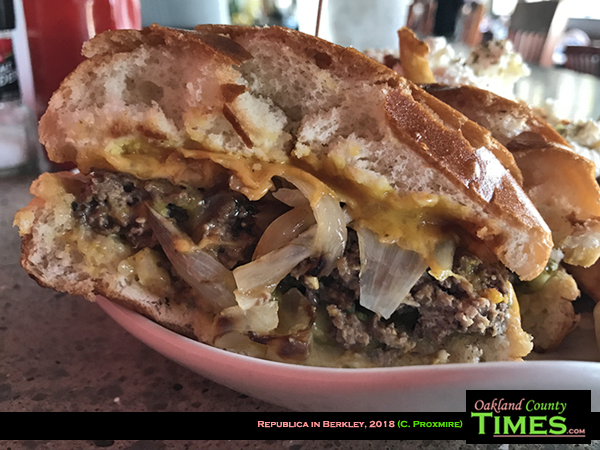 The All American Burger is made with 100% Michigan grass-fed beef, M1 mustard, grilled onion, cheddar, and Michigan pickles. I had my fries upgraded to Plato’s potatoes which are topped with feta, lemon and oregano. What also helped was the Strawberry Mint Sparkler, a summertime cocktail made of VDKA 6100, fresh strawberries, muddled lime and mint. This icy cool drink was a great companion to the burger-tastic flavors of greasy meat, sweet grilled onion and crispy pickles.